by Mary Epner | Aug 11, 2015 | Digital, U.S.
As we move into the peak weeks of back-to-school season, we start to cull the hot sellers across teen retailers and departments stores. 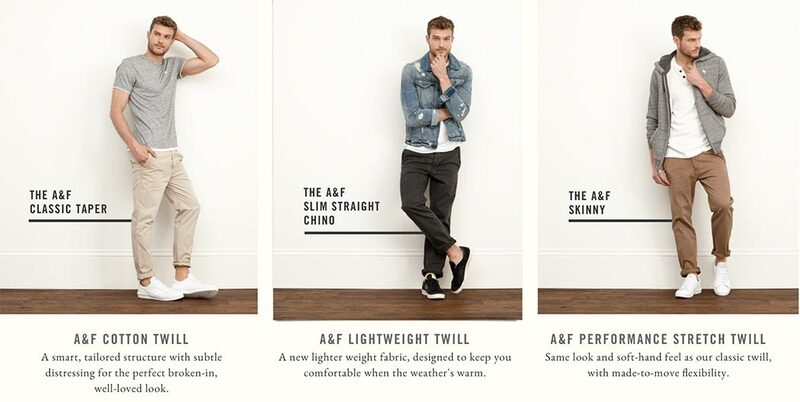 First up: The twill pant at Abercrombie (ANF) takes the flex fabric trend to non-denim implementations. Based on our store checks, it appears to be selling through at a nice pace. This is a refreshing observation and much needed for the battered brand. We’ve seen increasing improvements at Abercrombie in terms of (1) product mix, (2) select third-party brands such as New Balance, (3) de-emphasis of logos and (4) improvements in the store experience with (a) better lighting, (b) less sexualized imagery and (c) more diversity in their visuals. We also note more promotions and price incentives to compete more directly with the competition and drive consideration. However, we believe poor brand associations still linger and it will take more time for core teen and millennial customers to return en mass.